The Central Bank of Nigeria (CBN) said the bank’s policy to restrict importers of some 42 items from accessing foreign exchange was the right call of action. 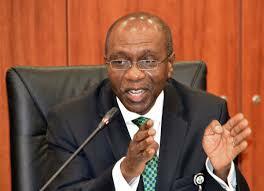 The CBN Governor, Mr. Godwin Emefiele, said in Abuja while fielding questions on the first Monetary Policy Committee meeting for the year. He said that the CBN took the measure to ban 42 items from accessing foreign exchange through official routes to encourage local production of the items and simultaneously conserve the nation’s depleting foreign reserves. Some of the 42 items not valid for foreign exchange at the Nigerian window include rice, cement, fertiliser, margarine, palm produce, beef, vegetables, poultry and eggs, wooden doors and Iron rods. Available data, he said, showed that in 2014, Nigeria imported 1.2 million metric tonnes of rice, in 2015 it had dropped to 644,000 metric tonnes and in 2016, to 58,000 metric tonnes, 23,000 metric tonnes in 2017 and 6,000 metric tonnes in 2018. In terms of foreign exchange allocation for wheat importation, ``we spent 1.2 billion dollars in 2016; by 2017 it went down to 628,000 dollars’’. “Sugar had gone down from 462 million dollars in 2014 to 255 million dollars in 2017. Fish dropped from over one billion dollars in 2014 to 18 .96 million dollars in 2017. “Importation of tomatoes has dropped from 7 million dollars to less than a million dollars in 2017. “These results are because of the actions of the government supporting the monetary policy of Nigeria today and we will be aggressive in supporting small holder farmers that cultivate these items,” he said. Emefiele said that the CBN would continue to take an aggressive stance to ensure that any food item currently being imported that can be produced in the country is banned. He said the CBN was currently reviewing a list of other items and that once they were convinced that there were companies in the country that could sufficiently produce the said items; they would also be placed on the foreign exchange restriction list.